Red Roses Estates are delighter to OFFER this TWO bedroom, Second floor apartment in Farnworth. 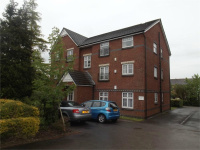 Comprising its spacious living area, Kitchen and TWO good sized Bedrooms, Communal Garden and Secure Intercom. This apartment is FURNISHED!! AVAILABLE NOW! !